Today I am off to Stonehenge to celebrate the Summer Solstice. 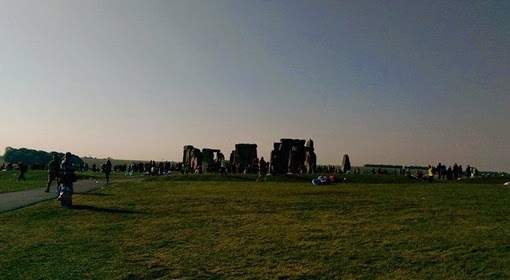 Although I have certainly been to England's most famous stone circle many times before, I've never before been there for a solstice celebration, as I blogged about a few years ago. This year I made it one of my resolutions to finally experience either the sunset or sunrise on the longest day and shortest night of the year at Stonehenge. It might rain, it might be too cloudy to see the sun, it might be packed with tourists and it might cost a fortune to park in the car park, but I don't care. It is one of those things I feel I have to do at least once and I am sure it will be memorable, whatever happens.. I won't be taking an expensive camera with me, but I do hope to get one or two photos to share on the blog. Happy Summer Solstice, wherever you are! I will do! Hope you can get to Stonehenge in the future!